If you have a avid gamer on your gift list this year, check out these two great games from Reverb Communications! The top-rated Emmy Award-winning hit series, Phineas and Ferb, from The Walt Disney Company began its stellar fourth season in December 2012 as the #1 animated program on cable with tweens 9-14 and the #2 animated program on all TV with kids 6-11 for Q4 2012. There’s a whole lot of stuff to do during the last week of summer vacation and Phineas and Ferb want to do it all! Join these charismatic brothers of invention as they create, travel and explore in their quest for artifacts to fill out the Museum of Cool. Perry the pet platypus, aka Agent P, has their backs when bumbling villain Dr. Doofenshmirtz unleashes his latest obscure “-inator” device designed to take over the entire Tri-State area!  Play as Phineas, Ferb and Perry/Agent P as you interact with supporting characters from the show including Dr. Doofenshmirtz, Candace, Isabella, Buford and whiz kid Baljeet. – Exploration Mode: Switch on-the-fly between ambitious innovator Phineas and silent, but stoic “Man of Action” Ferb as you explore their backyard, a lost temple,underwater caverns, and the surface of the moon! – Action Mode: Transform Perry from subdued pet mode to super Agent P: jump, run, crouch, slide, hang from ledges, fight robot “inators” and sneak past traps and obstacles in Doofenshmirtz’s diabolical lab.  Build and play in the A.T.T. (All-Terrain Transformatron Vehicle). Upgrade the A.T.T. by assembling new parts like pinchers, drills, rocket boosters and headlights that you need to access new areas. Customize the A.T.T to your preference with colors, sounds and decorative parts.  Unfold an intertwining four episode storyline as Phineas and Ferb hunt for lost treasure and travel the world while crime-fighting Agent P embarks on a secret mission to foil the Dr.’s zany schemes.  Defeat Dr. Doofenshmirtz’s flying Norm Bots and robot hordes including the Patroller, Jumper, Charger and other “get-rid-of-cool-stuff-inators”. Avoid Dr. Doofenshmirtz’s nasty lab traps: collapsing floors, laser beams and falling boulders!  Collect sprockets then use them to buy spare parts for the A.T.T. – Ferb’s Amazing Fun Trinkets include some of the most coolest artifacts the boys discover including the lost Atlantis hieroglyph, floating baby head, Meap’s Mustache, caveman’s first stone wheel, and more.  Gameplay will be similar across all five SKUs. Wii U version will be playable completely on the GamePad. 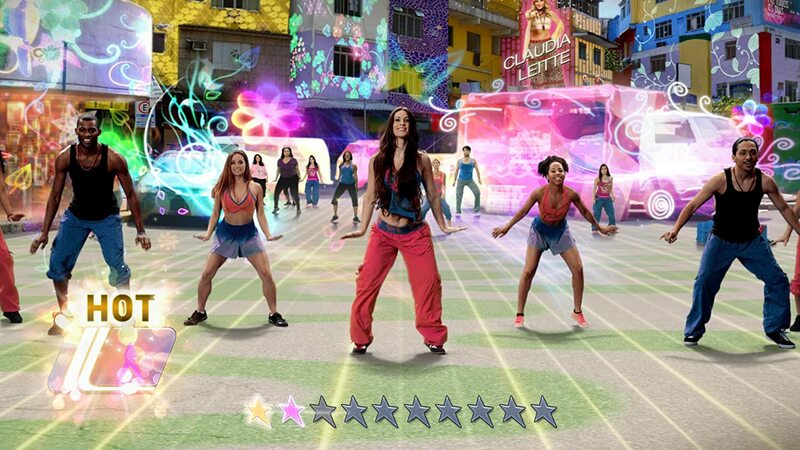 For the avid exerciser, I recommend Zumba Fitness World Party. Only the premier global fitness brand can offer you an interactive experience so big it spans the Earth. For the first time ever, Zumba takes you on a cultural joyride around the world in Zumba Fitness World Party. Burn up to 1,000 calories per hour as you immerse yourself in the movement and music of exotic global destinations in this exhilarating at home workout that features a new visual presentation. 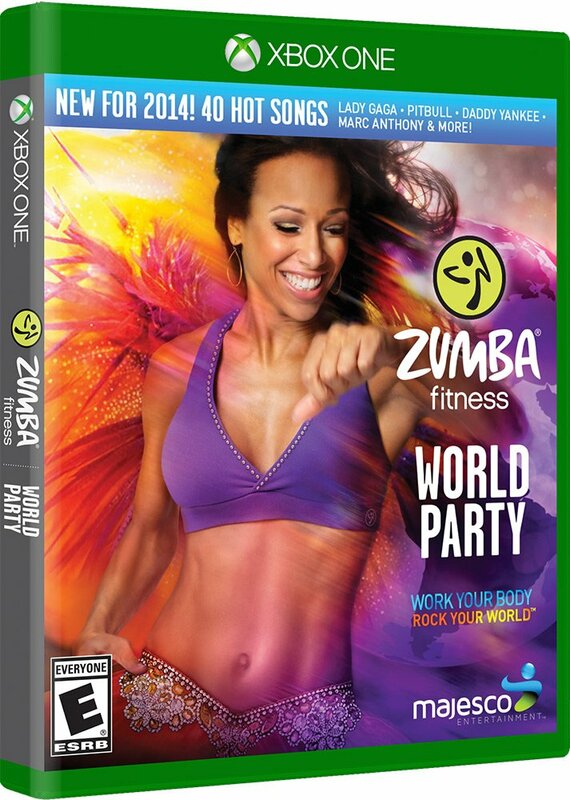 World Party is the latest release in the best selling Zumba Fitness video game franchise that has sold more than nine million copies worldwide and ranks as the #2 fitness franchise of all time, second only to Nintendo's Wii Fit. This groundbreaking new dance fitness experience unites you with the global Zumba community while offering all of the fitness features you need to maximize your work out. Travel the world with celebrity Zumba instructors; move to a cultural mix of dance styles across 40+ fresh songs and routines; and unlock rewards that reveal the rich heritage of each location. Learn to love your workout with this fun, freeing fitness journey that expands your horizons. Buy It: You can purchase these video games at major North American Retailers near you.